A YEAR-LONG powerful, online, business training system built specifically to help therapists grow happy, thriving, sustainable private practices their clients LOVE. You CAN improve your clinical outcomes, have more freedom, AND have a better income while doing what you love! 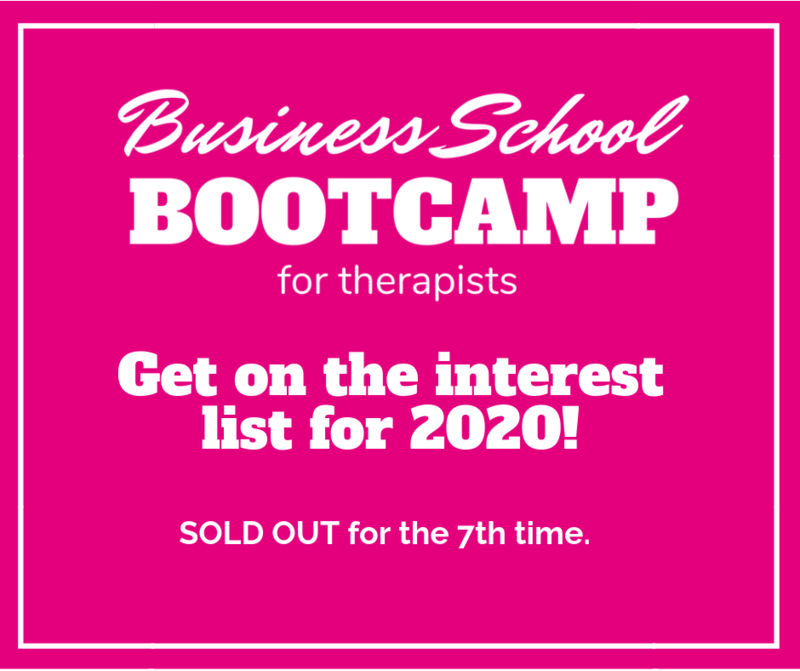 Get on the interest list for Business School Bootcamp Spring 2020 cohort!